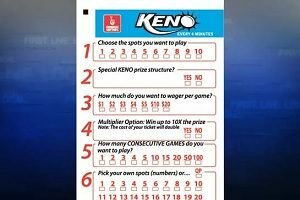 Oregon Lottery officials are scrambling to explain why they failed to warn players about Keno tickets. Keno tickets that many people purchased were read by a machine as losers, but were actually winning tickets. The glitch was not disclosed by the Oregon Lottery, but by a small business owner and frequent Keno player. The lottery is trying to figure out how they can reassure Keno players that the computer glitch won’t happen again. Oregon has had some form of gambling since the 1940s, right after World War I. The first gambling that was legalized in Oregon was horse racing. The first racetrack opened up in 1946. Now the state has tracks and off-track betting sites throughout the state. Until 2000, Oregon had legal betting on horse races at the Oregon State Fair. Oregon was also one of the first states to legalize hub betting—or betting from out of state bettors. All of Oregon’s casinos are run by Native Americans as tribal casinos. 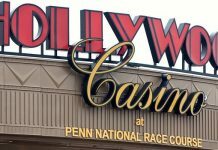 There are 11 tribal casinos located throughout the state. A lottery was legalized in Oregon in 1984 as an amendment to the constitution. The lottery began business with scratch offs and quick pick lottery tickets. They expanded to allow parlay NFL betting on football teams in 1989. Sports betting was banned by the US government in 1992. Oregon was allowed to keep their parlay bets because they had established sports betting before the new law was passed. However, the state discontinued sports betting to host NCAA championship basketball games. The lottery also has video lottery terminal machines and video poker machines. State and multi-state lottery jackpots, video lottery terminals, and video poker machines bring in an estimated $1.2 billion annually. The Oregon Lottery introduced Keno as an additional game in 2005. Keno allows people to make picks on numbers by choosing numbered cards that correspond with Keno balls. Jackpots can range from $500 to $100,000 on Keno games, depending on the type of game played. Keno has proven very popular as a lottery initiative. Keno revenues averaged $100 million last year; the game was played 74 million times in 2017. A frequent Keno player and small business owner, Scott Graf, bought a Keno ticket in July. He checked his numbers that night after the Keno drawing and found that he won $1,100 on his ticket. However, when Graf went to get his winnings, the machine that scanned his ticket said it was a loser. But because Graf checked his winnings the night before, he knew he had won. The store owner told Graf there was nothing he could do, so Graf started writing the Oregon Lottery. The lottery told him he must have misread his numbers. However, Graf didn’t give up. Finally, the lottery had to admit that there was a problem. The lottery admitted that the Keno game had a glitch for six hours in July. While technicians were fixing the glitch, the lottery didn’t shut down the game and allowed people to continue to play. After Graf raised a stink with the lottery, the Oregon Lottery had to admit that approximately 200 tickets were winners. The winnings amounted to $1,400 total. However, Graf disputes that because his ticket alone won $1,100. 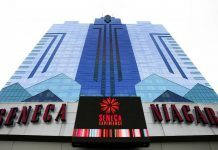 The lottery stated that it was unable to contact those who mistakenly found out their tickets were losing tickets. Oregonians who kept all their Keno tickets for July might want to rescan their tickets before throwing them away. Next articleRoulette – Should You Play American or European?